Conduction of complete flow simulations from the import of the CAD model, through the grid generation and the simulation process, to the interpretation and graphical post-processing of the results (also as video). Since we have access to professional CAD software (Autocad®, Inventor®), we are capable of creating even complex 3-D models from sketches or engineering drawings, if the need arises. We use our own software tools for the simulations. This gives us the unique possibility to quickly incorporate any changes, for example if special boundary conditions become necessary for a simulation. Such flexibility is not offered by any 3rd-party commercial software. Due to our experience in various fields of fluid mechanics, we can offer you to optimize your configuration according to your objectives. 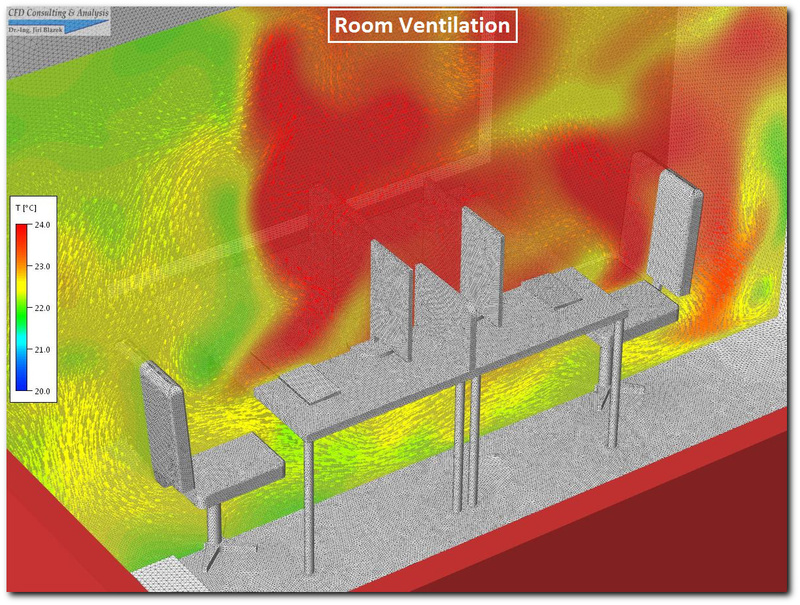 An example demonstrating our simulation capabilities is presented further below. Speaking of software - we usually program in C/C++ and in C#, but we are proficient in Fortran 90/95 just as well. We are further open for software development outside the CFD core area - where ever we could apply our special knowledge, experience and the tools we have to your advantage. Besides code development, mathematical and physical analysis, we also offer translation services for technical and scientific texts related to CFD / FEM in the languages English, German and Czech. If you are interested in any of the above offers, or if you are confronted with another similar problem, please feel free to contact us to see if we could help. We work conscientiously, cost-efficiently and fast.